No, we can’t actually believe that header either. 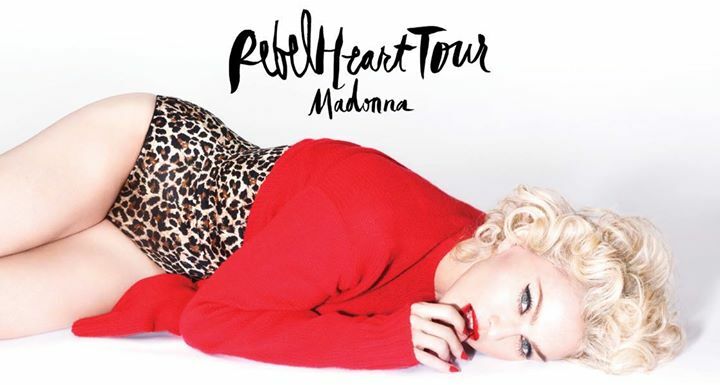 For the first time in the history of auspOp.com.au, we can finally say that Madonna is touring Australia. It’s been an extraordinary 22 year wait for fans of the Material Girl to have their icon back down under. In that time, she’s released eight studio albums, including 1994’s ‘Bedtime Stories’, starred in the movie ‘Evita’, duetted with (and pashed) Britney, toured the planet five times and hit No.1 on the US dance charts a staggering 29 times. But let’s face it, we’ve been here before. Our hopes for an Aussie visit were first raised back in early 2010 when an anonymous email purporting to be from a “touring industry insider” contained a series of heavily detailed tour plans. It was sent to a number of online media outlets (including OURS) and though others fell for the ruse, publishing the claims as fact, we were hesitant from the get-go. After that, it was early 2012 when Madge herself said that Australia was part of her plans for the ‘MDNA’ tour. And though stadium dates were apparently locked in for both Sydney and Melbourne, the visit was subsequently cancelled. Madonna’s apology at the time (audio only) was brief and offered little explanation as to the reasons for the cancellation. “I know a lot of you are angry with me, upset with me, disappointed. I did everything I could, I thought long and hard about it and I decided that the best thing to do would be to end my seven months on the road at the end of the year,” she said at the time. Fans weren’t impressed. So once again, fans’ hopes were buoyed in March this year, with Australia confirmed to be on the schedule for the ‘Rebel Heart’ tour, but this time around (and as of today) actual dates have been announced. It’ll be disappointment for fans away from the East Coast, however, with two shows each locked in for Sydney, Melbourne and Brisbane. A Telstra Thanks pre-salekicks off from 11am on Tuesday June 30. A Live Nation presale will then kick off at 10am on Friday July 03, before general public tickets go live from 10am on Monday July 06.